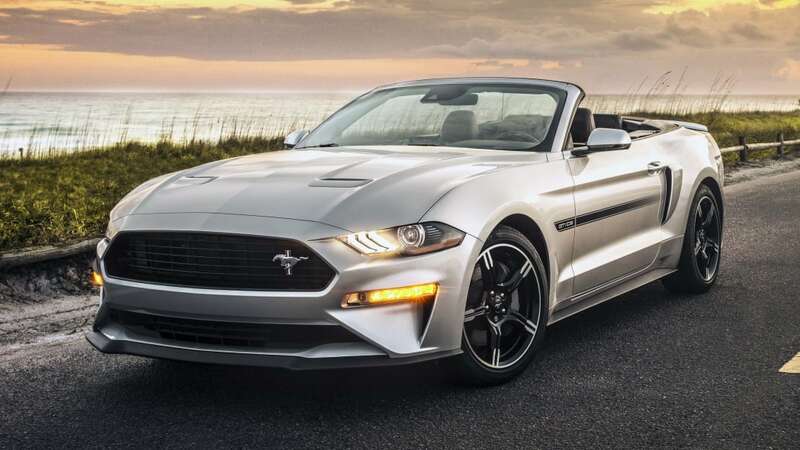 Ford is bringing a slew of new options to the Mustang for 2019. The big one is another rendition of the California Special appearance package. It's pretty much what you'd expect, with fading side stripe as on previous versions, but moved up to the middle of the door instead of the bottom on the 2016 version. 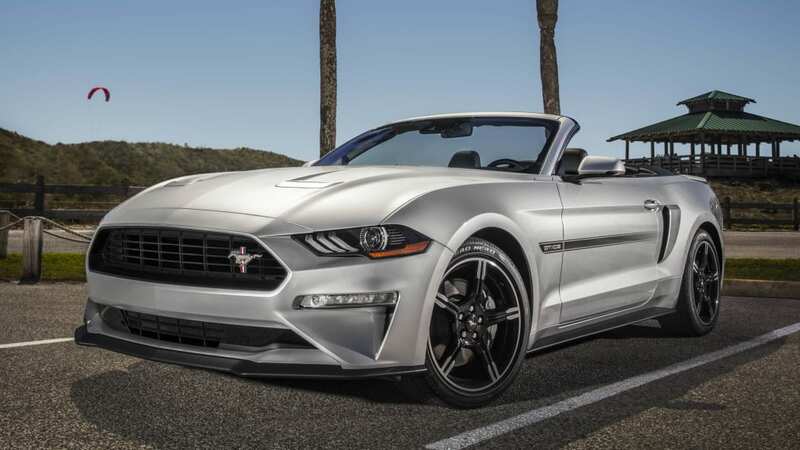 The package also adds stick-on fake scoops on the rear fenders, and custom black grille with the vintage Mustang badge moved to the side. 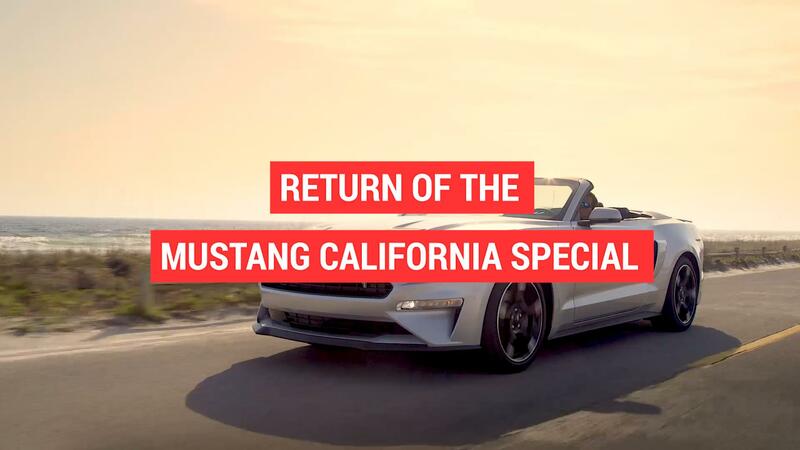 It also features a black and red "California Special" badge on the trunk lid, unique five-spoke wheels, and a Performance Pack 1 front splitter. Inside are seats with suede trim and embossed "GT/CS" logos and floor mats with embroidered logos. There are some functional options that will be available, too. 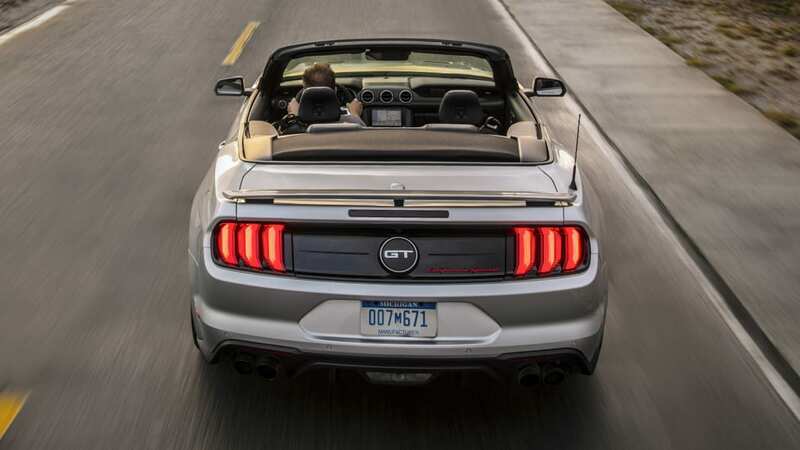 All 2019 Mustang GTs with manual transmissions will have a rev-matching function for smooth downshifts that don't require you to do your own heel-and-toe work. 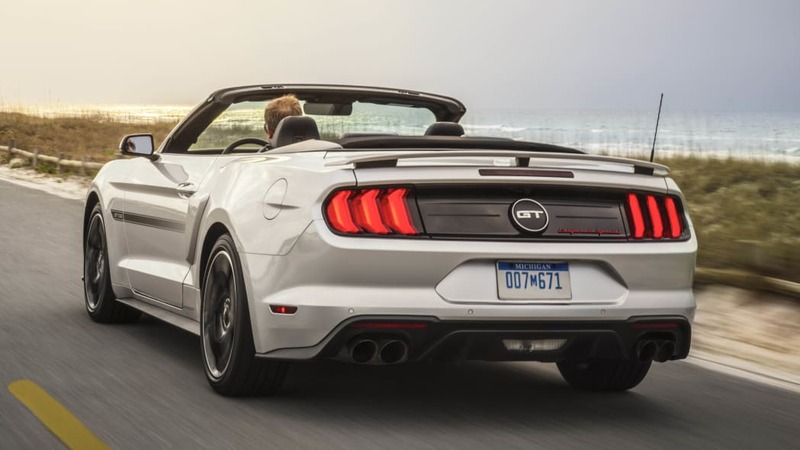 Though it's not available on the Mustang EcoBoost, the EcoBoost with the Performance Pack will now have an available active exhaust that can be quiet or loud depending on your mood or surroundings. A 1,000-watt 12-speaker B&O Play sound system will also be an option. 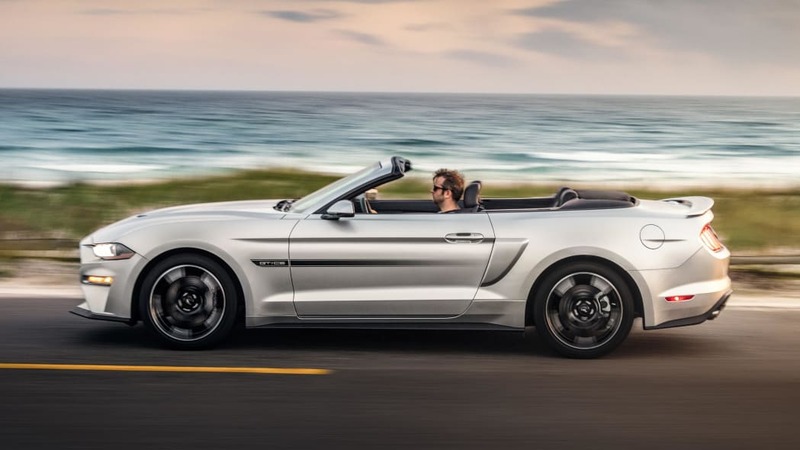 This array of new features can then be paired with wider array of exterior colors. 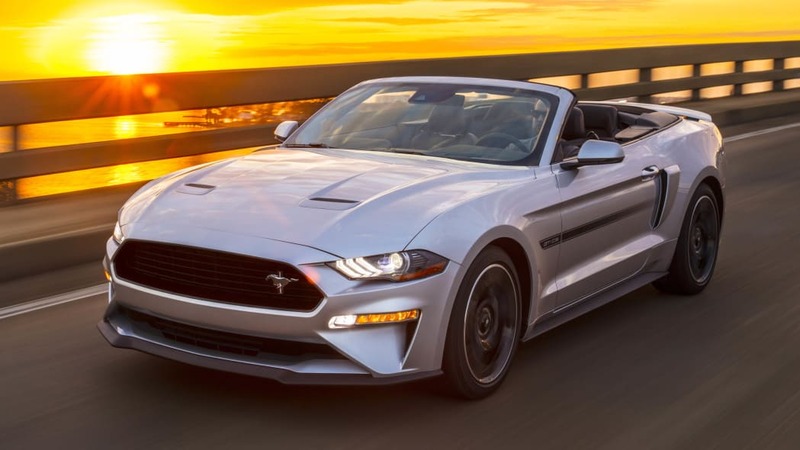 Ford already showed the Bullitt edition's Highland Green, but two new hues including Velocity Blue and Need for Green have been announced. The colors have yet to be shown, but we're curious about the colors. In particular, we wonder if Need for Green will be as bold as Gotta Have It Green from a few years ago. 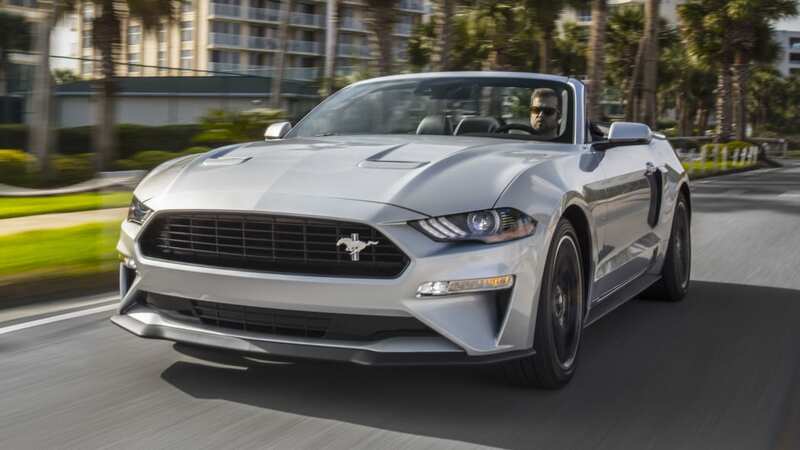 Pricing for these options and the 2019 Mustang have not been released yet. 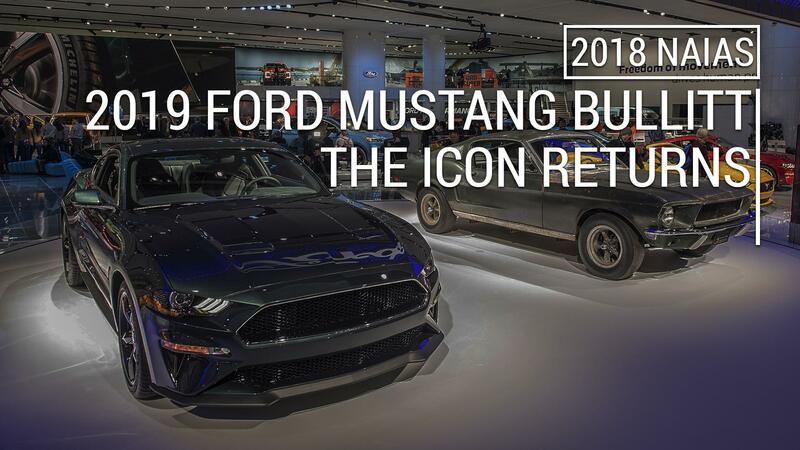 But the company did announce that the new model year cars will go on sale this summer.